Reserve Officer Deina Penix is a beacon of hope for underserved children. 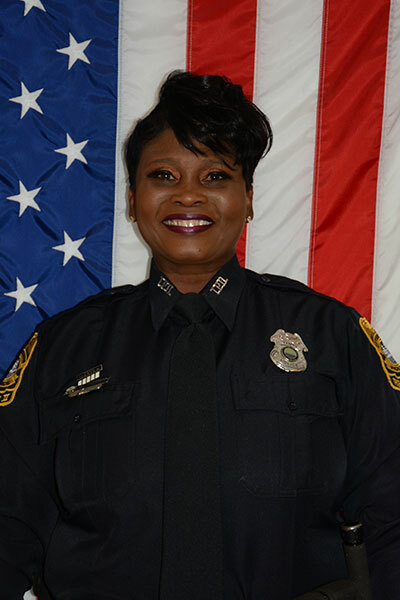 This 12-year member of the Tampa Police Department’s Reserve Force has volunteered more than 2,800 hours, worked every major event and other special requests throughout the years all while working a full-time job and taking care of her family. In 2015, Deina volunteered countless hours to mentoring children at the department’s Resources in Community Hope (R.I.C.H.) House which serves as a safe haven for at-risk youth in Robles Park. While volunteering at the R.I.C.H. House, Deina quickly realized that she could be a sounding board to at-risk youth by helping them with family issues, school work, bullying, and relationship issues. She used her own money and resources to organize a personal hygiene program for girls that had a positive impact on 14 girls. Her generosity did not stop there. She hosted a spelling bee contest to get the kids excited about learning spelling and grammar. Deina purchased gift cards for the winners so they could have extra money for school supplies. As a result of her mentoring, the children improved their spelling skills and, most importantly, increased their self-esteem. At Thanksgiving, Deina started a fundraising campaign to raise money to purchase as many turkeys as possible. Last Thanksgiving, Deina was able to raise enough money to feed 13 families from the Robles Park R.I.C.H. House. Deina Penix is truly an asset to the department and the community. She is so committed to the children in Robles Park, that she took time off from her job without pay to volunteer and work with children attending the “Preventing Crime In The Black Community Conference” last summer. At the conference, Deina joined in various workshops and helped provide insight and guidance to the children. Her selfless attitude has brought success and raised the self esteem of many at-risk youth.